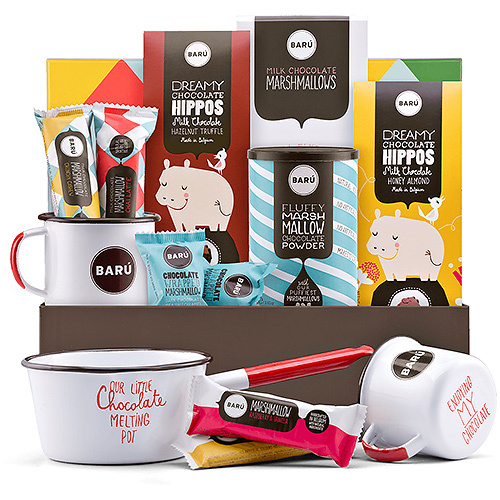 For the Chocolate Marshmallow Lover: This is the ultimate indulgence gift he or she will be dreaming of. Ingredients: Marshmallow (52 %) (glucose fructose syrup, sugar, water, dextrose, gelatin, corn starch, honey, ground vanilla bean, acidity regulator (lactic acid)), dark chocolate (48 %) (sugar, cocoa mass, cocoa butter, emulsifier (soya lecithin)). Dark chocolate contains cocoa solids 52 % minimum.